Having told the ACT Government what we don’t want for Downer (see here), it’s now time to work out what we do want for Downer. 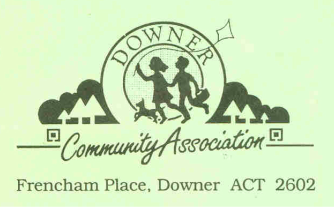 What is important to you for the future of Downer – social and physical infrastructure? Public and green spaces? Density and building height? Ageing in place? Community facilities and meeting spaces ? Transport links? Building design and energy efficiency? Sound planning? Streetscapes? All of the above? None of the above and something else instead? What are we willing to trade-off? This workshop is the beginning of a conversation on Downer by Design. It will not have all the answers by the end of the night, but it will be the start of a process to develop a more cohesive plan for Downer. And we need you, your ideas and your input! Please join us if you can.